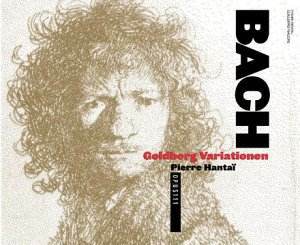 This performance of the Goldberg variations must be one of the most cheerful, chirpiest in the catalogue. So often the work - and others from the same revered source is approached with such deference that the performer seems to be treading on eggshells and thinks "Oh, it's Bach. I must remember not to smile". How refreshing to find a different approach. Not that the work is undervalued or treated flippantly - simply that it is played by an artist who sounds as if he enjoys playing it. Another major point in the disc's favour is the splendid sound the harpsichord makes. The soloist uses a mid nineteen-eighties copy by Bruce Kennedy of a dual keyboard instrument from Berlin by the German craftsman, Michael Mietke dated about 1700. The sound it produces is warm, clear and very attractive and with a recording close enough to give great presence and immediacy. Pierre Hantaï (b 1964) has a growing reputation as one of the best harpsichordists playing today. He completed his studies with Gustav Leonhardt and his subsequent playing has won a number of awards and commendations. The sleeve with the CD has stickers as reminders of previous awards this disc has won, including a Gramophone Award (1998) and a Gold from Diapason. Technically the playing is immaculate and when skills of this level are allied to a deep understanding and musical intelligence with an obvious affection for the score something special is going to result. The aria which frames the 30 variations that make up this work is taken thoughtfully, almost too slowly at first reaction, but the tempi for it and the remainder of the pieces prove to be well considered and never indulgent in the slower sections, lively and infectious elsewhere. It would be possible to cherry pick throughout but that is not the way to think of this recording which is truly a delight. Nothing would ever lessen my allegiance to my beloved 1955 Glenn Gould Goldberg - on a piano, in mono, wilfully eccentric with no repeats - simply because it has got under my skin and has that very special something, but as a modern, top-flight version on harpsichord, this CD can be recommended without any qualification whatsoever.